Lots of snow and the cold didn't stop Tai Shan's fans from bidding him farewell in Washington today, despite his party getting cut short due to the snow. 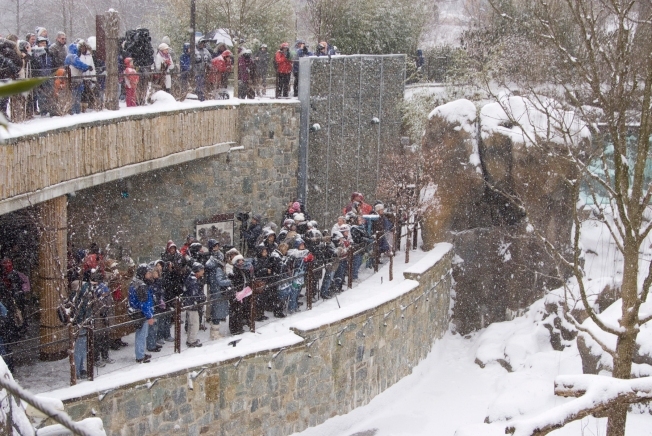 The Friends of the National Zoo, which hosted a "Farewell to Tai Shan" party at the zoo, announced that the celebration would end at 1 p.m., rather than 3 p.m. But no matter. Our favorite Butterstick still got to have his cake and eat it too. The three-tiered purple and white frozen treat was made of apples, carrots, beets and bamboo created by the zoo’s commissary staff. The four and a half-year-old panda was born at the National Zoo four years ago, but he was on loan from the Chinese government. 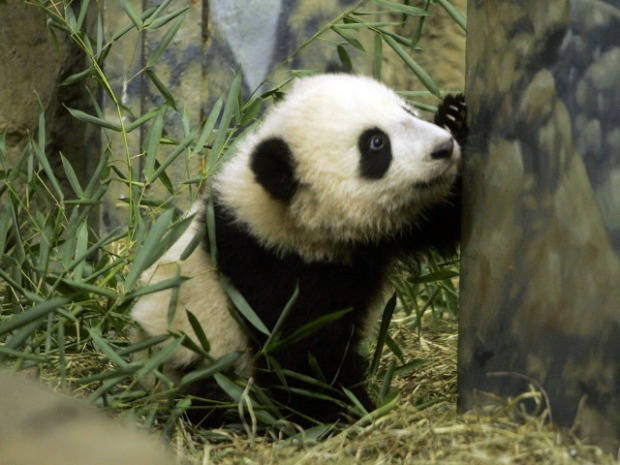 The National Zoo was granted an extension when Tai Shan turned 2, but now his time is up. Tai Shan will be sent to Wolong’s Bifengxia Base in Ya’an, Sichuan on Feb. 4 to take part in a breeding program. Visitors can visit him in DC at the zoo through Wednesday, Feb. 3.